The San Diego Museum of Art has announced that I am the BLOOM BASH 2019 featured artist. 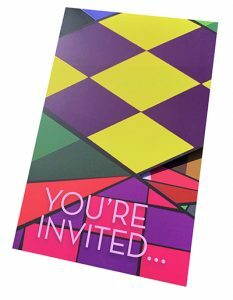 I have been working with the SDMA Graphic Design team to deconstruct various paintings for all of the promotional material and invitations for the party on April 12, 2019 from 7pm to 12am. The 176ft suspending mural which will be made up of forty four 4ft. by 8ft. panels will be unveiled on the evening of April 12th and will be on display through Monday morning the 15th! 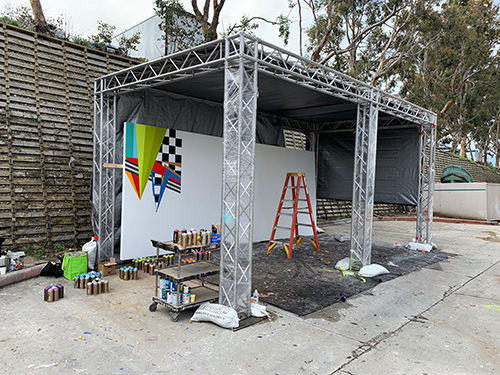 A little visual teaser onsite in the pop up studio at Pacific Event Productions in Miramar, CA where I am currently creating the mural to be transported and installed for BLOOM BASH 2019 with the San Diego Museum of Art in Balboa Park during Art Alive this April 11th -14th. Thank you to the SDMA Family for this amazing opportunity, and to the PEP Creative group for this sweet studio to create in. WIN TICKETS TO BLOOM BASH 2019!!!!! Announcing the Bloom Bash 2019 photo contest! I also collaborated with the San Diego Museum of Art to reproduce “Geo #81” in honor of #BLOOMBASH2019 . Look for the banner piece currently in front of Panama 66 at the San Diego Museum of Art in the heart of Balboa Park . 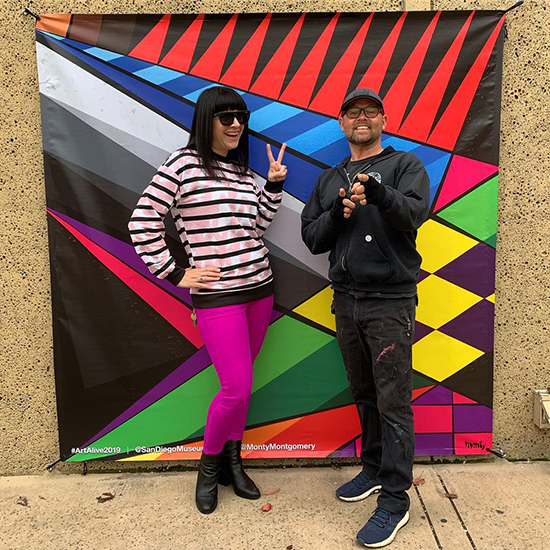 Here is your chance to win 2 FREE tickets to “Bloom Bash’, the kick off event for Art Alive 2019 weekend where the 176ft suspending mural will be unveiled. Post a photo of yourself in front of the Bloom Bash mural banner and tag @sandiegomuseumofart with the hashtag #BloomBash on the Museums Instagram page : https://www.instagram.com/sandiegomuseumofart/ for a chance to win! This contest ends Sunday, March 31st. The winner will be chosen by Curator’s choice and will be announced on April 1st. Good Luck!